This post has been brought you by www.ak9.co.uk Search for the telephone number that called you and know who they are. Very unusual things happen in the world, several of them caused by nature itself. In France, for example, there is a coastal area where, sometimes, the marine surface forms something very similar to a chessboard. The island of Ré is located opposite the French west coast, in the Cantabrian Sea, connected to the mainland by a long bridge of almost three kilometers. The island is small, about 30 kilometers long by five wide, with an area of ​​85 square kilometers, and practically flat. In the past it was a matter of dispute between French and English, and also served the Germans during the Second World War to install bunkers and raise its Atlantic Wall, which to this day remains standing. The island is one of the most popular vacation spots in France, receiving up to 160,000 people annually who stay in the many resorts that abound there, go to camps and spend the day in the port or stores, as well as climbing to the famous Lighthouse of the Whales . The lighthouse was built in 1854 and measures 55 meters in height, being able to climb up a spiral staircase of at least 200 steps. Visiting this place brings three benefits: there is no entrance fee, the panoramic views are magnificent and from there, it will be possible to appreciate one of the most amazing natural phenomena of the island , its square waves. Its particular shape is due to the collision of two oblique bottom seas, which causes them to spread in this way over the entire surface. 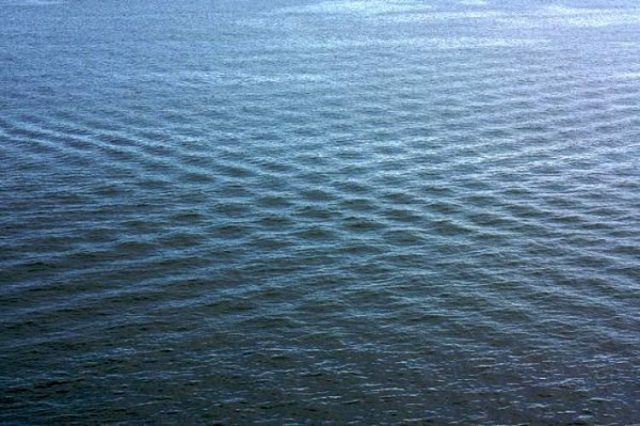 The deep seas originate kilometers deep and, together with other factors (the wind, for example) cause the waves to travel long distances, adopting the marine surface this curious formation. Although it is a very beautiful and peculiar phenomenon, the truth is that it can be dangerous, so it is not safe to get into the water when it happens, since you could get caught in the middle of these waves. Undoubtedly if you ever travel to France you must go to this destination, and of course, do not get in the water if these waves are there, we do not want anything bad to happen to you. Did you have any idea that something like that could exist?